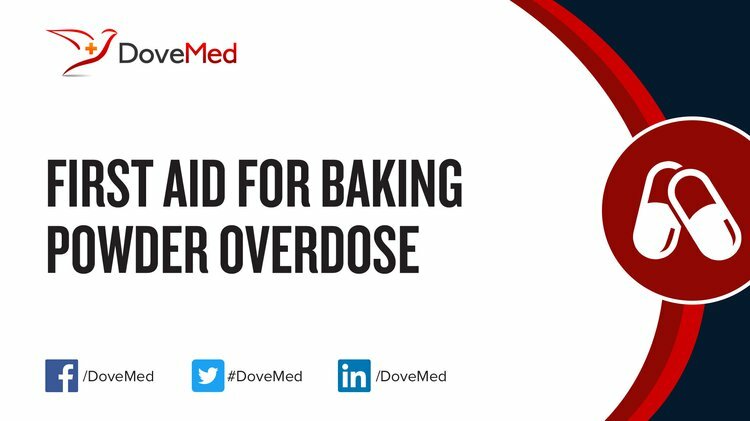 Baking Powder Overdose is the accidental or intentional intake of a large amount of baking powder in higher than prescribed/recommended values. What is Baking Powder Overdose? What are the Causes of Baking Powder Overdose? What are the Signs and Symptoms of Baking Powder Overdose? How is First Aid administered for Baking Powder Overdose? The emergency medical health professional will manage the condition based on the symptoms presented. Who should administer First Aid for Baking Powder Overdose? What is the Prognosis of Baking Powder Overdose? How can Baking Powder Overdose be Prevented? Waple, B. (2017). Sodium bicarbonate. Restoration, 2. LUO, L. F., & ZHENG, S. Z. (2011). An improvement on the methods for detecting the heavy metal elements in baking powder [J]. China Food Additives, 4, 040. Hesso, N., Loisel, C., Chevallier, S., Le-Bail, A., Queveau, D., Pontoire, B., & Le-Bail, P. (2015). Monitoring cake baking by studying different ingredient interactions: From a model system to a real system. Food Hydrocolloids, 51, 7-15. Fujiwara, N., Hall III, C., & Carlson, R. (2016). A comparison of rapid visco analyzer starch pasting curves and test baking for under-and overdosed dry baked mixes. Cereal Foods World, 61(1), 29-37. Olise, F. S., Fernandes, A. M., Chaves, P. C., Taborda, A., & Reis, M. A. (2014). PIXE analysis of Nigerian flour and bread samples. Nuclear Instruments and Methods in Physics Research Section B: Beam Interactions with Materials and Atoms, 318, 207-210.